Focus on what you do best while our AI-driven features take care of all the grunt work for you. Marketing campaigns are complex. There are hundreds of campaign types, bidding options and myriad targeting parameters to tune about. 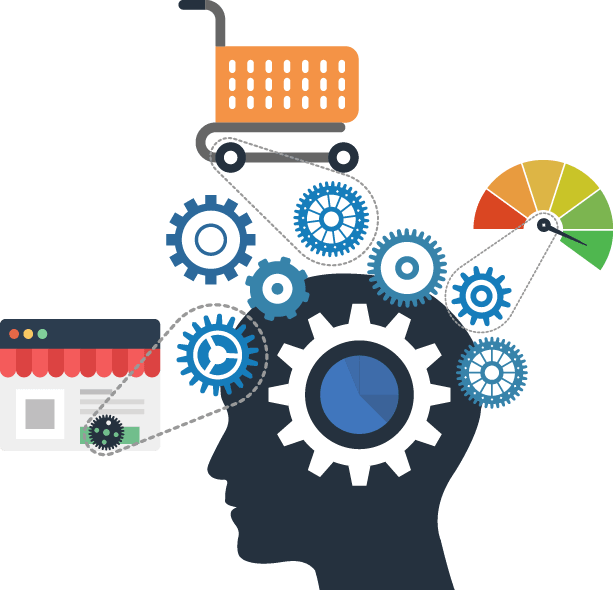 With OnlineSales.ai you get to focus on your business and your operational changes like bidding, budgeting, creative updates and targeting changes are outsourced to smarter (and probabilistic, Bayesian) algorithms. If you work with multiple platforms and advertising vendors, it is quite common to miss out on optimization opportunities. 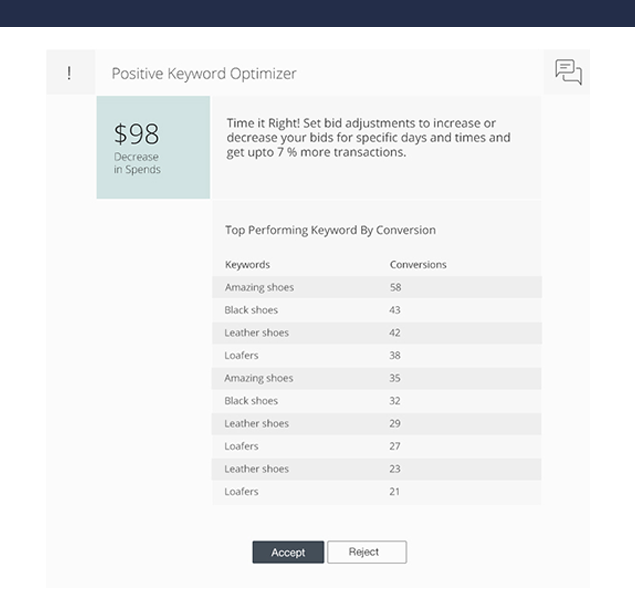 It takes mammoth effort to mentally parse through hundreds of obscure reports to spot gaps in your campaigns. We continuously monitor trends in advertisements, creatives, traffic and suggest optimization opportunities for you. 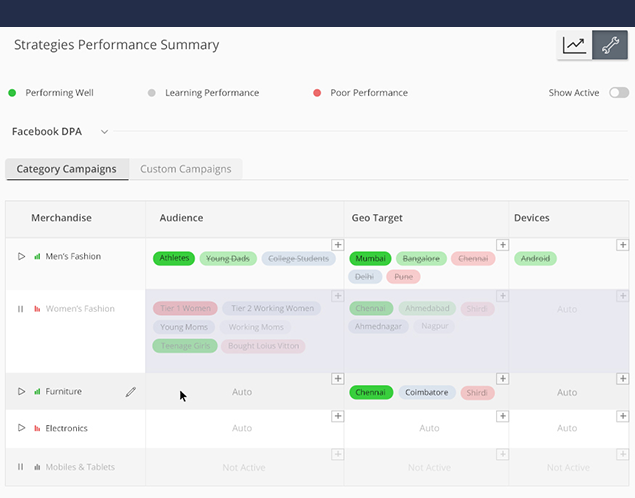 The platform offers you tons of optimizations across your campaigns, advertisements, creatives and targeting. Each performance optimization comes with a rationale and helpful summary. 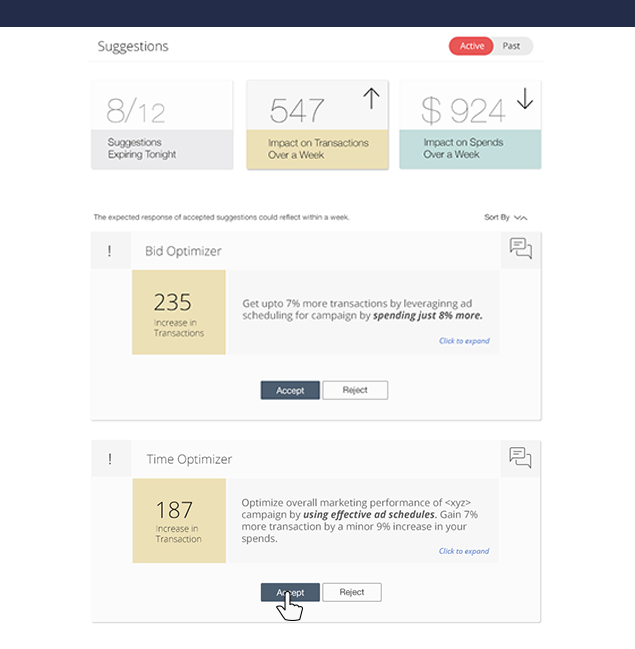 No more shuffling through twenty reports and fifty clicks to change bid on few keywords. 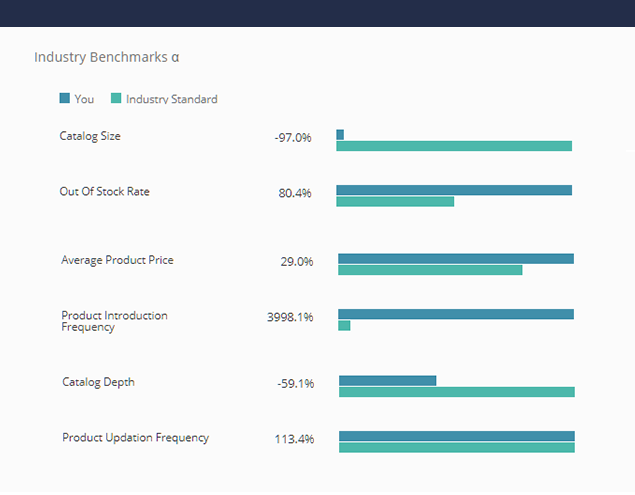 Benchmark your product catalog with your competition based on Average Product Price, Catalog Size, Catalog Depth, Out of Stock Rate and Product Updation Frequency.